You must try the egg specialties at Neel All Day to enjoy a bloody good, wholesome meal. The Eggs Divinity at Neel is a clear winner thanks to the taste of scrambled eggs and cheese. That dish is so good, until uyou discover the Eggs Benedict that is, which proves to be tough competition for this one. Their Eggs Benedict comes with shredded potato, which is typical of Neel and Indigo Deli. The food over all is good, the service is fabulous and there’s very little room for any errors here. They manage to classy all the way. We also love their Sunday brunch and live music a whole lot. 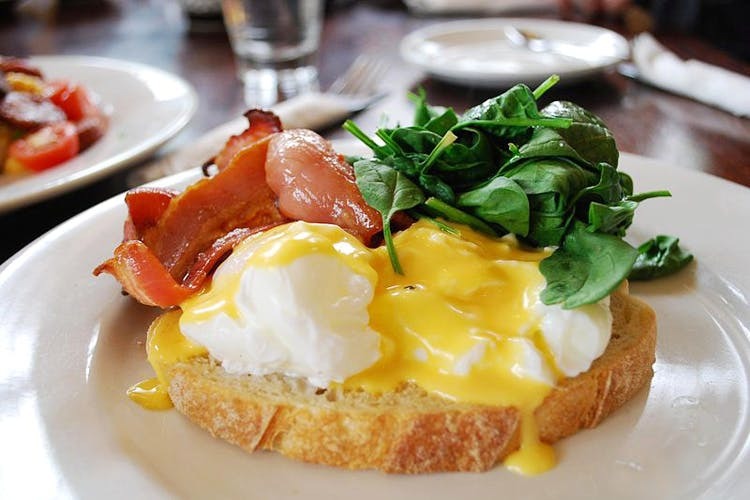 Make your way to Neel because the food here will surely get you very ‘egg’cited!